The realities of new technological and social conditions since the 1990s demand a new approach to literacy teaching. 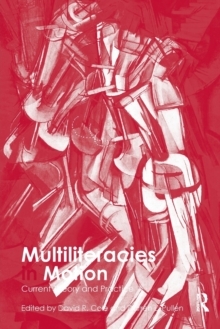 Looking onward from the original statement of aims of the multiliteracies movement in 1996, this volume brings together top-quality scholarship and research that has embraced the notion and features new contributions by many of the originators of this approach to literacy. Drawing on large research projects and empirical evidence, the authors explore practical and educational issues that relate to multiliteracies, such as assessment, pedagogy and curriculum. The viewpoint taken is that multiliteracies is a complementary socio-cultural approach to the new literacies that includes pedagogy and learning. The differences are addressed from a multiliteracies perspective - one that does not discount or undermine the new literacies, but shows new ways in which they are complementary. Computers and the internet are transforming the way we work and communicate and the very notion of literacy itself. This volume offers frontline information and a vital update for those wishing to understand the evolution of multiliteracies and the current state of literacy theory in relation to it.